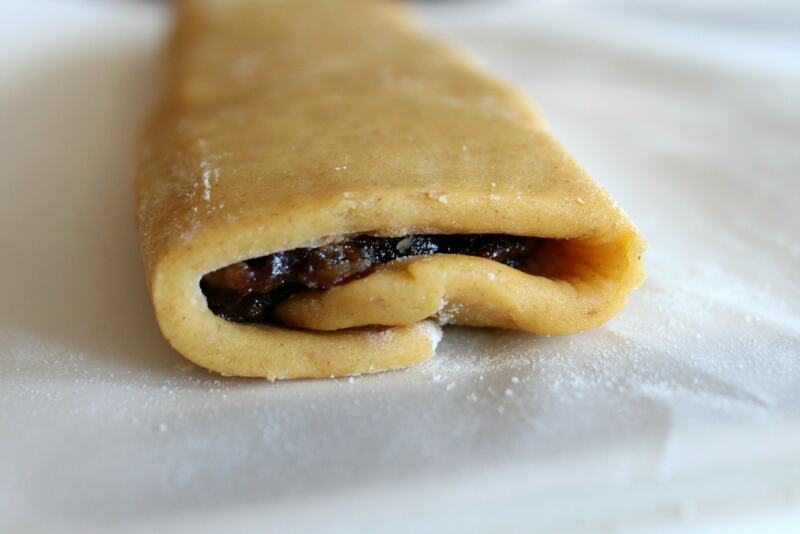 There’s something magic about prunes, walnuts, and cinnamon wrapped up in this orange scented dough. 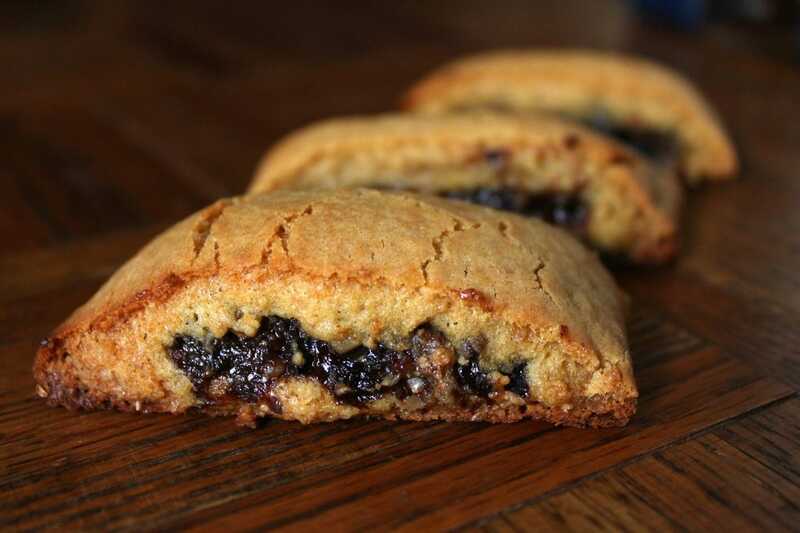 Just like Fig Newtons, but better! Welcome to my first post of 2019! Can you believe it? What’s even more amazing is that next year will be 2020. It all still sounds so futuristic to me, like we should all be riding around in flying cars and getting meal pellets from a vending machine. Thank goodness we aren’t! I’m not psychic or anything so I guess these aren’t really predictions but more like trends that I have begun to see or would like to see in the year 2019. This may be a bit late to the game but I think cauliflower is going to still be hot, especially within in the ‘keto’ realm. 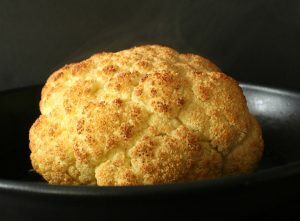 I’m experimenting a bit with whole cauliflower at the moment, so stay tuned for a cauliflower recipe in the near future. Other vegetables that I’d like to see highlighted are Aliums of any kind (onions, leeks, chives, spring onion, etc.) utilized in exciting new ways and bitter greens. Now that I’m getting older, my palate is changing and I’ve come to appreciate this often ignored flavour component. Enough with the veggie forward 2019 trends, let’s talk about food waste. I’ll be the first to say that I am guilty of food waste. In this day and age, the world’s food systems cannot sustain our current population with the amount of food waste that goes on. It’s a ridiculous and disgusting waste of precious resources. Stepping off my soap box for a while, the wasting of food that goes on in my own kitchen really makes me sad. I don’t know how fruits and vegetables go off so quickly but I’ve composted my last mushy cucumber and tossed my last brown cilantro! In 2019 I’m turning a new leaf, a fresh one if you will. Christmas morning breakfast was a simple, yet stunning Christmas Star Bread. I was so proud when I placed it in front of the in laws. It looked absolutely gorgeous and tasted quite nice too. I’ll be working on that post soon but for now I have included the recipe for the filling below. The recipe made more than enough filling for the star bread so I saved the rest to use later. 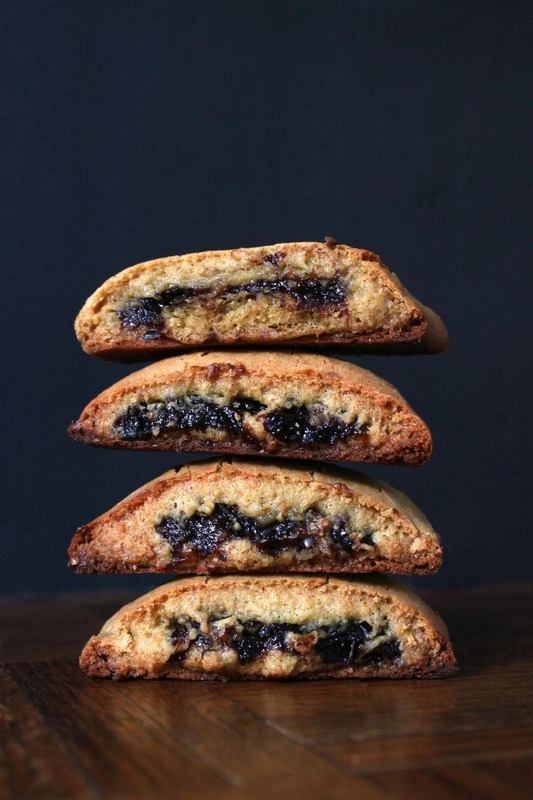 As soon as our holiday company cleared out, I set to work on a filled cookie recipe that is reminiscent of Fig Newtons. If you like Fig Newtons, you will love these Fake Newtons! Why Are They Called Fig Newtons? 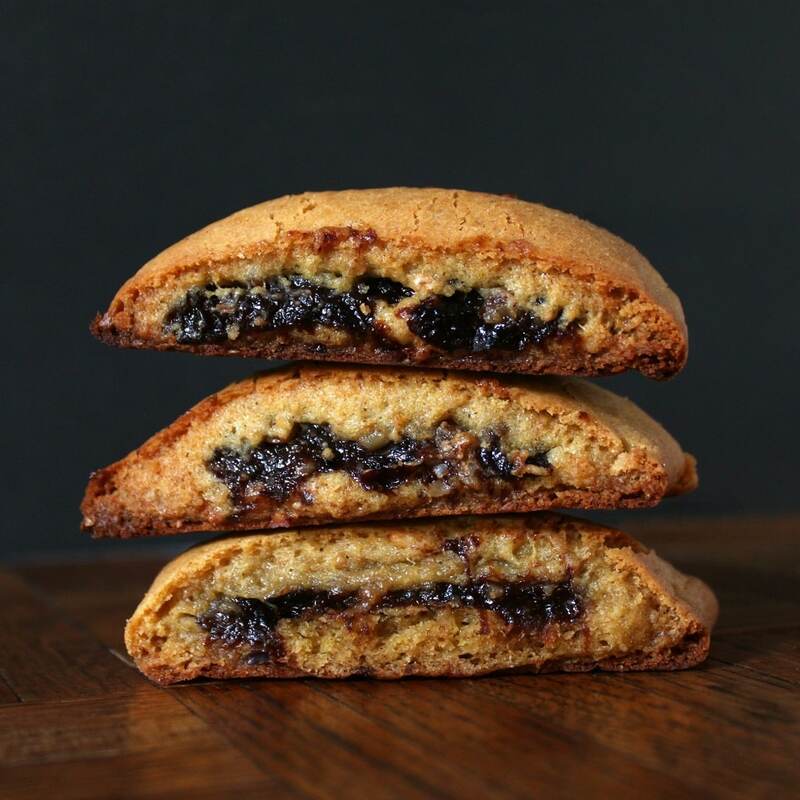 Fun Fact: Fig Newtons DO contain figs but aren’t named after Sir Isaac Newton like you might suspect. They were originally made by the F. A. Kennedy Steam Bakery in Cambridgeport Massachusetts but named after a nearby town. Fig Newtons have been around for 121 years but went through a re-brand of sorts in 2012. The word ‘Fig’ was dropped to get around the stigma of figs being thought of as a ‘geriatric fruit’. New varieties were introduced (such as blueberry and mango-strawberry) but the classic [fig] Newton remains the favourite of many. Don’t be alarmed by the softness of the dough in this recipe. Just add as much flour as you need (within reason) to stop it from sticking to surfaces. 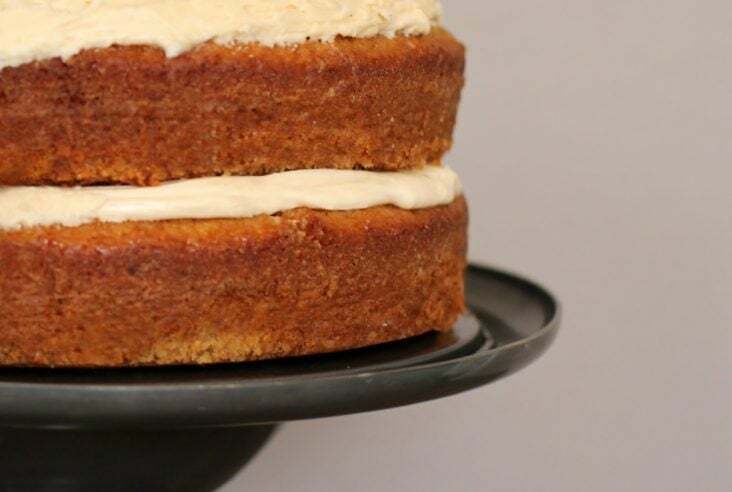 You’re going to love the flavour of this dough; the orange juice concentrate really packs a punch! This dough would be great as a rolled cut cookie, though you’d have to refrigerate it before cutting. You don’t have to use my filling, feel free to experiment on your own or bake up some classic Fig Newtons. There's something magic about prunes, walnuts, and cinnamon wrapped up in this orange scented dough. New flavours form a new favourite classic cookie. Add all ingredients (except the sugar) to a small pot. Give the mixture a stir. Cover and let slowly simmer on med-low for about 10 minutes. Stir again and check the consistency of the mixture. If you feel like it has firmed up enough (it should mound like peanut butter on a spoon) and most of the water is gone, remove from heat. Mash the prunes with a potato masher until the desired consistency is reached. Stir in the brown sugar and let cool. Cream the sugar and room temperature butter together in the bowl of a stand mixer. Add honey, vanilla, egg yolks, and orange juice to the creamed butter/sugar mix. Scrape down sides of bowl to make sure all is incorporated. With the mixing paddle running, gradually add the dry ingredients to the wet ingredients. Turn out onto a cool surface and knead a bit by hand. Use as much flour as you need to keep the dough from sticking to your fingers/surfaces. On a piece of floured parchment paper, roll the dough out into a 40 cm x 15 cm rectangle. Try to get it as even as you can. Yes, you can use a ruler! With damp hands, shape a handful of the filling into a long rectangle, about 4 cm wide and place it in the centre of the dough lengthwise. Repeat until you have filling all the way down the centre of the dough. 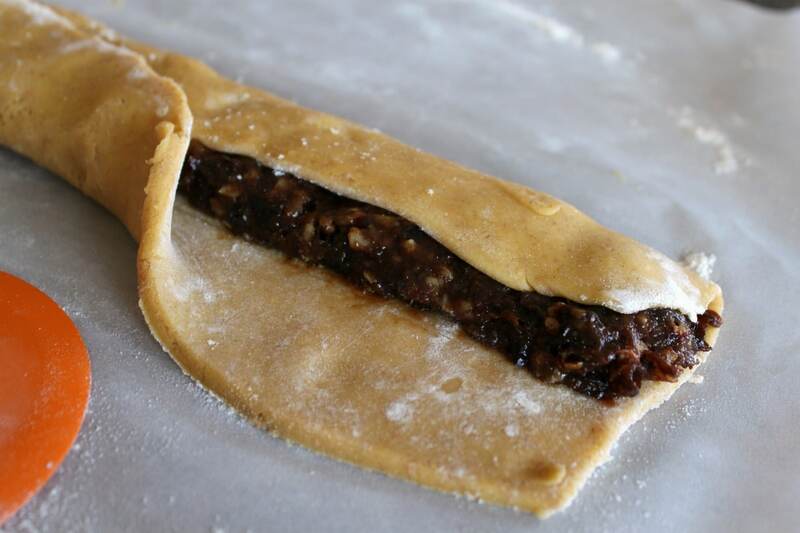 Carefully fold one side of the dough over the filling. It might help to use a bench scraper. Then fold the other side over. Transfer filled dough 'snake' and parchment onto a baking sheet. If your kitchen is quite warm and the dough is quite soft place it in the fridge for 30 minutes before baking. Bake at 350 F until they are firm and lightly golden. Start with 12 minutes, then increase as needed. Remove from oven and slide the cookie off the pan. Slice into even pieces using a metal bench scraper or knife. Love this! These were a favorite when I was a kid but have not had them in years. Would be so fun to make them!! It sure was. Most people think that it’s the filling that makes these unique but I really love this dough. It has so much flavour! Please do! I know they’re a very ‘Italian’ flavour and I’m looking forward to seeing your bitter greens recipes. love the touch of orange in there, too. This is a keeper recipe! And I SO agree with you about food waste. It’s up to us all to eliminate that and starting off 2019 with that goal in mind is a good plan! The orange really makes the dough. I’m looking forward to experimenting with the dough in different ways! 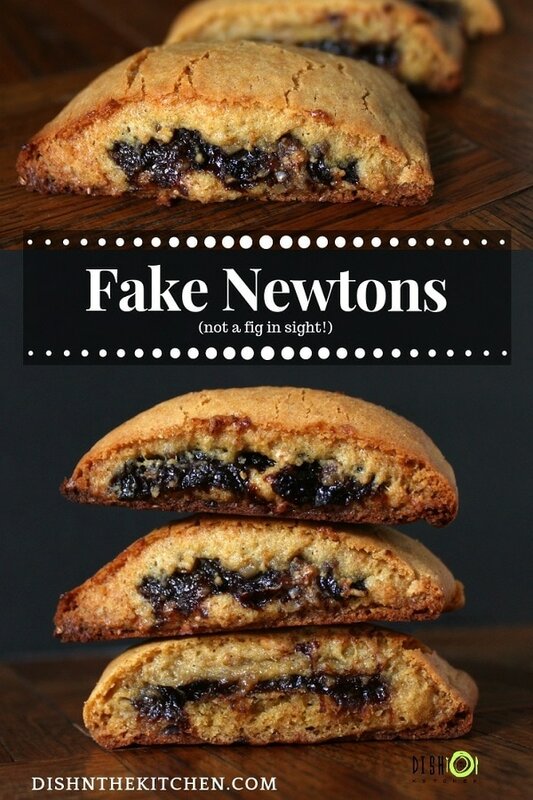 I always loved fig newtons as a kid, so I’m excited to know what a “Fake Newton” will taste like. Thanks for sharing! I based my filling on one of my favourite local pastries. After the bakery moved locations they stopped making my favourite prune scrolls and I’ve been craving them so much. Thanks for visiting Philip! I would be so thrilled to try your Better than Fig Newtons recipe, Bernice. That kind of cookie really appeals to me and your photographs are very enticing! 🙂 Thanks so much for sharing this recipe with us. I will be sure to try it. Thank you so much Denise! It’s kind of funny because it really was just an experimental use of leftovers that turned into a winner!Thanks for stopping by!